When my friend Lauren (Tampa Uncorked) told me about this online virtual wine tasting group called Thirsty Girl, I was instantly intrigued. When my membership was accepted, I was ecstatic. I sat patiently for my first box of wine to arrive for the December 19th virtual tasting. On Thursday night, my UPS man called me to make sure I was home since he had an adult signature required delivery. Upon opening the box, I was a very happy girl. YAY!! 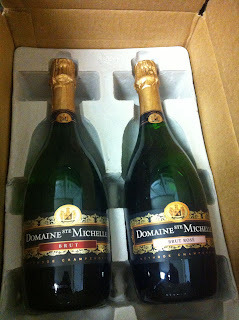 Two bottles of Domaine Ste Michelle which is one of my absolute favorite sparkling wines! Not to mention, I got a Brut and a Brut Rose. 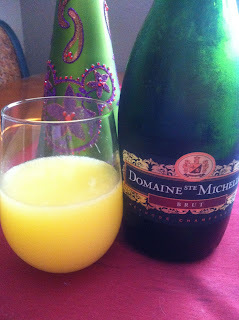 I love making Mimosa's with Brut. Sometimes I will make Bellini's as well. The Domaine Ste Michelle Brut is a mix of 88% Chardonnay and 12% Pinot Noir. No wonder I love it....The tasting notes state that it pairs well with Sashimi. Sign me up! 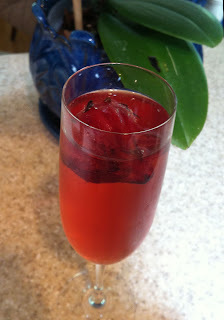 For Brut Rose, I either drink it straight or as a Poinsettia (rose brut with cranberry juice). I was introduced to wild hibiscus edible flowers while in NYC at Chef Burke's restaurant, David Burke's Townhouse. 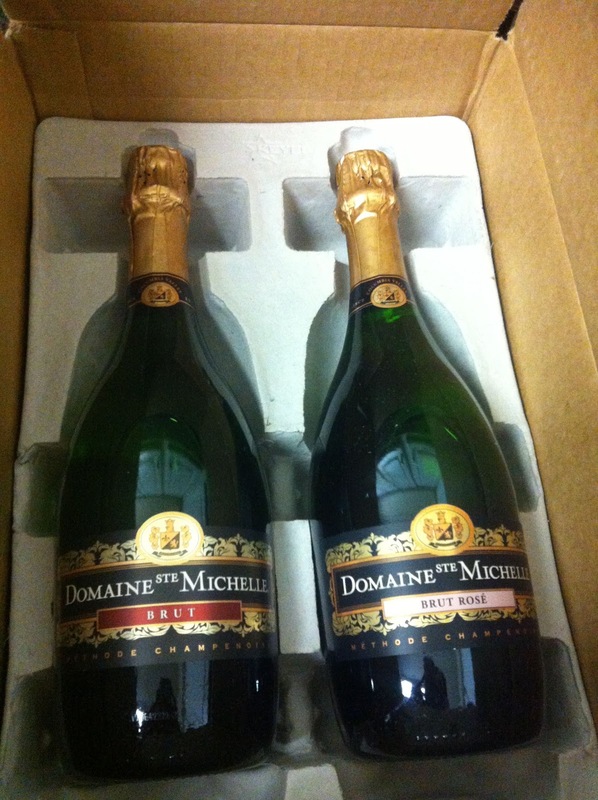 The Domaine Ste Michelle Rose Brut is 100% Pinot Noir. It pairs well with fruit so it was a no-brainer to use the Rose Brut for poinsettia's with a hibiscus flower. They made a perfect delicious pair! I was provided with this wine to participate in the Thirsty Girl virtual tasting which will be taking place Wednesday, December 19 at 8p.m. EST. Join me on Twitter @IRun4Wine and follow hashtag #TGTaste to talk about these wines - during the chat, we get to ask the winemaker questions @stemichelle. Here is to bringing in the holiday's with a little bubbly. Cheers!